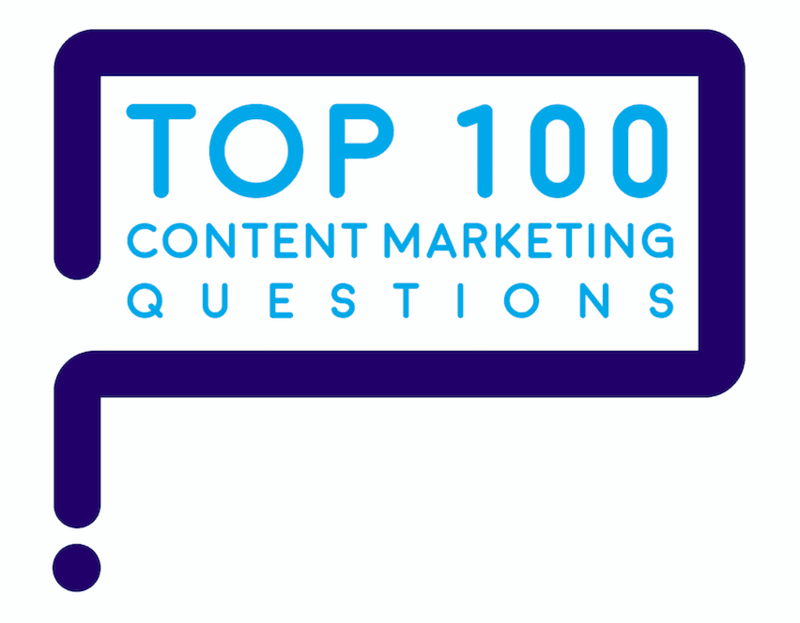 “How can you engage your organization or team in content marketing?” is one of the top 100 questions marketers ask about content marketing. 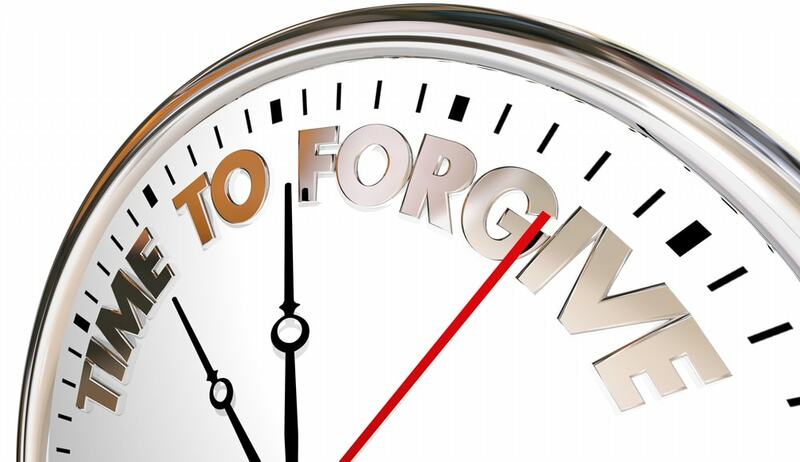 Choose one of two approaches: either ask for permission or seek forgiveness. Create a space where content marketing has enough time to work. Build a strategic foundation for content marketing with an agreed-on mission, strategy, and message. Organize content marketing for success. Where to start: permission or forgiveness? Marketers can take two paths to get people engaged in content marketing programs. Either seek permission up front or ask for forgiveness later on. Your company’s culture will determine which is the better path to take. Here are the pros and cons of each approach. One approach to get people engaged in content marketing is to seek permission up front. 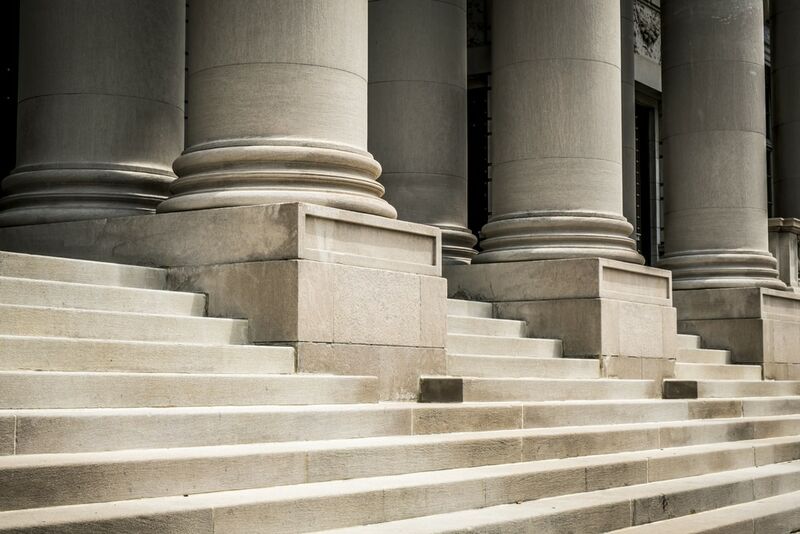 Start at top of the hierarchy, by winning support for content marketing from your CEO and CMO. A permission-based approach is essential in small and medium-sized businesses. This approach can work in large businesses if marketing has strong support from the CEO. If your CEO or C-suite is skeptical about marketing, winning permission for content marketing can take months or even years. Chances are, you’ll become a distant object in competitors’ rearview mirrors by then. Some companies try to catalyze content marketing by bringing in a parade of agencies and consultants to explain and get people engaged in content marketing. Taking this approach requires tremendous persistence. Why? Executives are used to advertising, the fast food of marketing. How can you make content marketing that breaks through, instead of unwanted advertising? Ads get quick results. Content does not. People are turning away from advertising in droves, using ad blockers, fast-forwarding through TV commercials and throwing away junk mail. Help execs understand that content marketing, unlike advertising, is the marketing your customers actually want. The world’s #1 advertiser, Procter & Gamble, recently discovered that average view time for mobile Facebook news feed ads was only 1.7 seconds. Ouch! That discovery led P&G to cut its ad spend by $200 million. How could that happen to a marketing powerhouse such as P&G? Most advertisers find themselves in similar positions – uncertain of what’s working and what’s not working – yet afraid to abandon advertising. To many executives, it feels safer to stick with the status quo, rather than taking a different approach such as content marketing. In contrast to the fast food of advertising, content marketing is slow food. 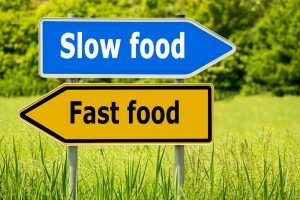 To get people engaged in content marketing, help them see that it’s the slow food of marketing. It takes a year or two to see the full results of content marketing. Why? Because it takes time to get people engaged in content marketing; they need to engage at their own pace. The idea that content marketing takes more time to work is just one challenge you’ll face in seeking C-suite permission. But this understanding needs to be baked into your agreement; otherwise content marketing won’t have the time and space it needs to succeed. Here’s a related blog: “How do we get executives to buy into content marketing?”. Another approach: seek forgiveness. If your organization can tolerate failure, it can embrace innovations such as content marketing. A quicker but riskier way to get content started is to take a skunkworks approach. In technology companies, R&D does this all the time – why not do it in Marketing? If content visibly fails, you’ll need to ask for forgiveness. If content visibly succeeds, others in the company will seek to start up their own content marketing. An organization that tolerates failure can achieve innovation. Content marketing is a great fit in such organizations. What if there’s no content marketing budget? Where can you find the money? Establish an experimentation budget of 15% and apply it to content. 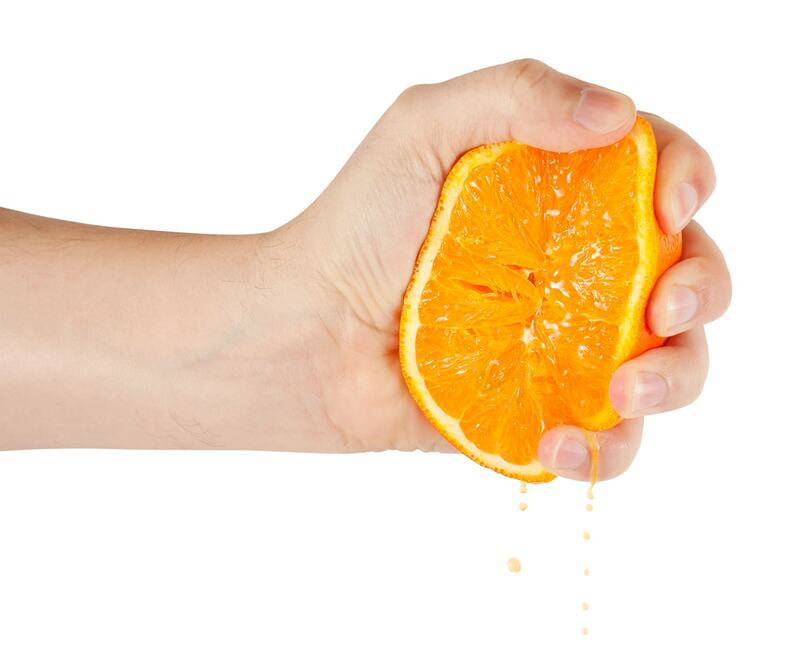 Squeeze savings out of other marketing projects to reinvest in content. 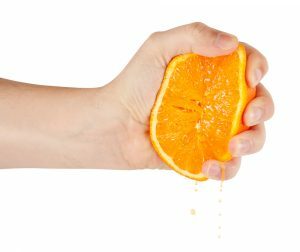 Cut marketing deliverables that have unproven or unprovable results. Secure funds from a unit of the company that’s willing to become the guinea pig of content marketing. To squeeze enough money for content marketing out of a budget, look for deliverables with unproven results. Create a space where content marketing can have enough time to work. Three promising places to start content marketing are short-cycle sales, orphans, and greenfields. Is the type of sale where customers make decisions faster, revenue comes in quicker, and commissions are paid sooner. That’s why it’s a great place to start – results become evident more quickly. For example, in the network equipment market, mobile telecom buyers take 12 to 30 months to reach a buying decision. But electric utilities reach decisions in as little as 3 to 6 months. That’s why, at Tellabs, we launched a content marketing pilot project with electric utilities instead of telecoms. Utilities’ quicker buying decisions meant we could demonstrate the effectiveness of content marketing much quicker. Is a product or a market that has gotten zero marketing support in the past year. It still has growth potential but suffers from neglect. Most big companies have several orphan products or businesses that make great laboratories for content marketing experiments. Adopt an orphan by providing content marketing support. When the orphan’s sales rise unexpectedly, others will clamor for content marketing to support their products. Is a brand-new opportunity such as a new market or a new product. To start here, you must be willing to take a specific risk: Launch a new product solely with content marketing. By taking that risk, you can attribute all the marketing results to content marketing. You eliminate questions about how much of the success should be attributed to content. Once it’s proven to work for one product launch, it’s easier to include content marketing in the strategy for other new products. Build a solid foundation for long-term content marketing. Get people engaged in content marketing by co-creating a solid foundation. Start by gaining useful buyer insights. Co-create the content marketing mission, strategy and message to gain buy-in. Organize the content marketing function for success. Build a strong content marketing base first, before you branch out. To gain useful buyer insights, take one of two approaches. Do buyer persona research to learn your buyers’ content needs. 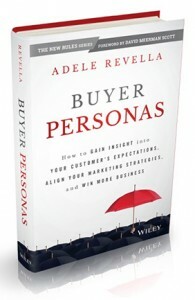 Adele Revella’s book Buyer Personas is a great guide for creating relevant content. Interview people who made purchase decisions in the past 3 to 6 months. Include a mix of people who bought from your company, bought from competitors, or stuck with the status quo. How they overcame them to reach a buying decision. If you only have one shot at proving content marketing works, insist on fielding buyer persona research. While demographics and segmentation research are useful, they are insufficient for strategic content marketing. Here’s a detailed step-by-step process for how to do buyer persona research, based on Adele Revella’s book Buyer Personas. Gather and analyze buyers’ questions to maximize content relevance. Gather 1,000 or more customer questions and do a text analysis to determine customers’ top 100 questions. Find out: What are buyers’ top 100 questions in your category? Using this 3-step process, you can squeeze every drop of meaning out of your buyers’ questions. Start by gathering buyers’ questions in their exact words. Collect 1,000 or more verbatim questions. 1. Talk to customers face to face in a store or place of business. 2. Collect customer questions face to face at a trade show or event — by a survey. 3. Phone customers and interview them one-on-one. 4. Go on sales calls and note buyer questions. 6. Gather questions from customer chat. 7. Harvest questions from customer e-mails. 8. Do a Google search and collect questions from the “People also ask” box. 9. Do a YouTube search and start to ask a question (without completing it) to see customer questions. 10. Use the BuzzSumo question analyzer, which aggregates questions from many websites, including Yahoo, Amazon and Quora. 11. Examine a topic on answerthepublic.com. 12. Search customer questions on Amazon.com. 13. Seek questions at Quora.com. 14. Ask sales or customer service to write down each question they hear from customers. 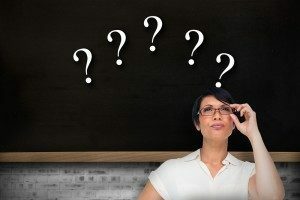 Which buyer questions matter most? What do buyer questions reveal about the buyers’ journeys? Which obstacles do buyers hit? Exactly what content do they need to get past the obstacles? Through a text analysis, you’ll learn which questions are most important to buyers. That means you’ll be able to answer buyer questions with content that’s so relevant, they won’t be able to resist it. Create a separate webpage to address each topic. Don’t put all the questions and answers on the same FAQ webpage, because Google won’t understand the topic and won’t give the page a good search rank. To home in on one topic, use buyers’ verbatim questions as headlines on each page. That assures that buyers will find your content when they Google these questions. 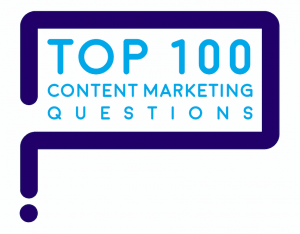 Here’s a step-by-step process I used to identify marketers’ top 100 questions about content marketing – which inspired this series of blogs. Use this 3-step process to convert customer questions into relevant content. Build a complete strategy for content. Work with your executives, product managers, sales and others to co-create a foundation for content marketing. Co-creation is crucial because it helps everyone buy into the mission, strategy and message up front. A concise, clear, consistent 7-second message on a Message Map. Assign content creators – writers, designers, photographers, and videographers – who create streams of content from day to day. Identify subject-matter experts who will work with content creators to produce content that fully reflects the company’s expertise. With an agreed-on mission, strategy and message, the content marketing team get the authority to operate content marketing without getting bogged down in endless reviews. One way to accelerate content marketing success is to bring together people from marketing and public relations (PR) under one roof. 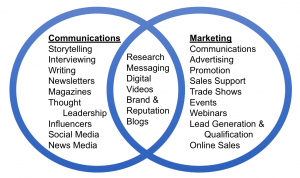 Both PR and marketing skill sets are essential to effective content marketing. 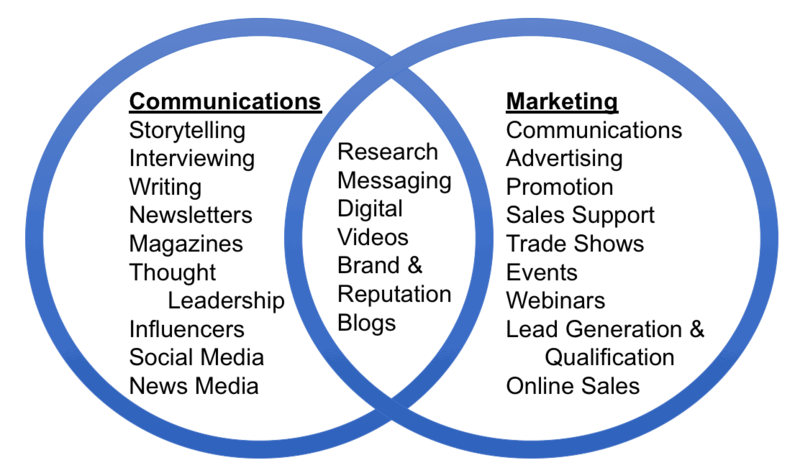 It takes PR or communications skills plus marketing skills to maximize content marketing success. Don’t make content into a “side job” that’s 10% of everyone’s job. That’s a guaranteed loser. A small dedicated content team can run rings around a large team that considers content its side job. Don’t miss the opportunities in the news every day. Speed increases content relevance. Use newsjacking – commenting on and amplifying the day’s news stories – to generate relevant content in a timely way. Don’t bog down content marketing with complex review processes. If content takes more than 1 day to review, the review process needs to be fixed. Build a solid base to get people engaged in content marketing. What is the single content deliverable that can make the biggest difference to your buyers? Is it a book? A magazine? A video series? First, work on your content marketing base — one content type you will consistently deliver over a long period of time. Go deep by building a solid base, then go wide by branching out. 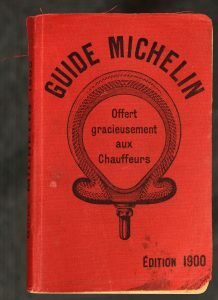 Michelin started with a book, the Michelin Guide. John Deere started with a magazine, The Furrow. Service Experts created a book, Home Heating & Cooling for Dummies. 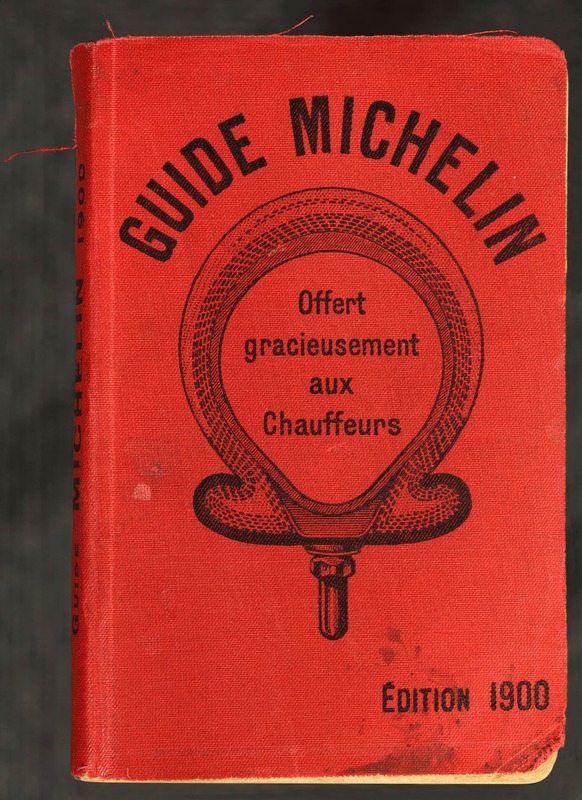 The Michelin brothers boldly printed 35,000 copies of the first Michelin Guide when there were only 3,000 cars in France. Think of your content marketing base as the trunk of a tree – one type of content, consistently delivered over a long period of time, in any medium – blog, book, magazine or videos. Once you’ve built a solid base, the trunk of your tree, then it’s time to branch out. Be careful to avoid spreading yourself too thin or trying to do too many types of content at once. The most successful B2B marketers use 7 types of content today, down from 12 two years ago. The most successful B2C marketers use 6 types of content, down from 11 two years ago. Focus on building a super-strong base first. Then branch out gradually.